A lesser known and advertised city that occupies the gorgeous foothills of the Smoky Mountains is Cosby, TN, about 15 minutes east of Gatlinburg on Highway 321. Cosby is sort of like the Gatlinburg-area equivalent of Townsend, TN; a MUCH more subdued and much less trafficked and occupied area that nonetheless can have some items of interest as well as providing a genuinely peaceful Smoky Mountain getaway. 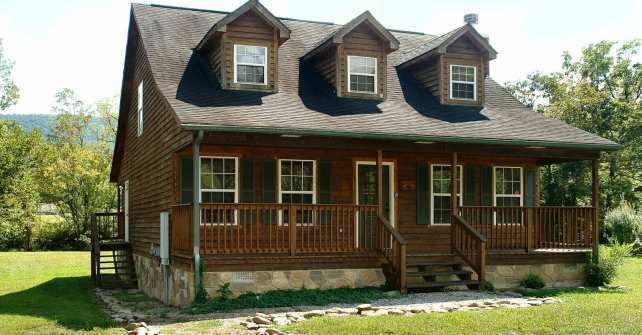 And in Cosby is our favorite cabin rental provider for the community, the aptly named Cosby Creek Cabins that has cabins in and on the way to the community. They specialize in creekside/riverside cabins that sit alongside the famous Cosby Creek and add a new level of ambience to a morning, afternoon or evening out barbecuing on the deck or soaking in a hot tub after a long day out and about. As of writing, there are over 20 cabins currently available for rent throughout the month and they have specials and discounts available. See more on Cosby Creek Cabins at www.cosbycreekcabins.com.